Weve got a tour game on Aug 5, three days after the 2nd test at Nottingham ends. Just wondering how useful a mid-series tour match is? A good oppo for potentially out of form players (or say Sehwag just coming back from injury) for more 'in the middle' time. And hopefully there will not be any out of form-ers. Useful way for in form players to stay in rhythm? Or just a tiring and pointless encounter in an already hectic schedule where a break would have been great...? :hmmm: A pre series match to get into form and used to the conditions is understandable but how useful have such matches been historically, for other touring sides too? The main players won't play unless they're out of form. The counties were desperate to get India to play as many side games as possible since it is an opportunity to make money. 3 side games before the ODI series as well I think. I remember how selectors released a 30 man probable list of players for tour to Australia in in 07-08 series. Sehwag name wasn't in the 30 man squad but when final team was picked, Anil Kumble especially asked selectors to pick him in the squad since he had done well on 03 tour. He was picked and then wasn't played the first 2 test. Then there was this tour match against AC x1 and Sehwag smacked a fantastic century and was picked rite away. Jaffer's failure to score runs also went in Sehwag's favor but that game really turned Kumble's mind to finally pick him. I think our bats have done well and there won't be much change in batting order after 2nd test. It's our bowlers who will be looking to surprise Dhoni and gain place in 11. Hard to change the batting line up. There will be lot of competition for that 3rd seamer slot. I dont know how ueful this match is going to be,they should have scheduled it before the first test. If certain players are out of touch, it will give them a chance to regain form also try out the other options. Such matches can help in chosing players for second test. Say Raina gets a chance in first test and dismissed with short-pitched deliveries in both innings. Indian batting doesn't perfom well, then in that case if Yuvraj and Raina both play in the tour match. If Yuvraj scores a century with Raina still struggling, then Yuvi can get a chance. Just giving an example. Same can work other way. First match, players and especially batsman might not have much idea of the grounds. Tour matches can help them to get used to it. Not really that useful to most of the guys, though if one of the key players is really struggling for form, can be useful to get some game time away from the spotlight and try and work on the problems. I'd have preferred them to have this before 1st test instead. Mid-tour practice games don't really help in my view. Because by 2nd test most of the players would be acclimatized with the conditions. Two days ago' date=' I watching a show about Ganguly. He was telling about his first test series experience. India had already lost 1st test match and were under lot of pressure. Batsmen were not doing well. There was a tour match with Derby. India lost even that 3 day match. In that match Ganguly scored a half century in second innings. Ganguly told in the show that after that match Azhar informed him that he will definitely play the second test. Manjrekar was dropped and Ganguly was brought in. 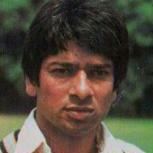 He went to scored a century on debut and helped India to draw the test match. :)[/quote'] Gangulys debut was absolutely fantastic. His game was simple but he could definitely dominate the opposition. Coming back to this match no front line bowler should play but all the batsman should get a chance. No Sharma,Zaheer and the third pace bowler. Harbhajan maybe but the batting order should be intact. When was the last time India played a test with an all pace attack? Never? I don't remember that happening. Kumble was at times faster than Venkatest Prasad. Msd would not risk of having 4 pacers when he is already blamed for slower over rate. Most likely Yuvraj will play tomorrow. Dhoni might take his chances and try to manage with them. Yuvraj spin is not at that level. It can be milked. yuvi will snap KP... the curse will continue. I don't like the idea of having a 4 pace attack unless one of them is an all rounder. Regardless of the conditions a spinner adds variety to the attack. This might never happen, over-rate issues. At least don't expect it in this series as it would lead to Dhoni's 1 match ban if that happens. This might never happen' date=' over-rate issues. At least don't expect it in this series as it would lead to[b'] Dhoni's 1 match ban if that happens. That would be the final nail in the coffin. Tough call. Maybe Dravid. Watsay? He seems to be the go to guy if anything goes wrong. No opener - call Dravid. Stand in keeper - Dravid. Stand in captain - Dravid. What next ? Stand in water boy ? He is being taken for granted. :--D In that case, even the Perth Test match in 2008 was an all-out pace attack : Pathan, RP Singh, Kumble, Ishant Sharma. Regardless of what happens in this test, this match is going to be very useful indeed! Nah, If India lose this, saving this series is also not possible.. so there might not be any use of this warm up as well. I don't think India can come back and win 2 back to back Oval will most probably be a draw. Nah' date=' If India lose this, saving this series is also not possible.. so there might not be any use of this warm up as well. I don't think India can come back and win 2 back to back Oval will most probably be a draw. [/quote'] The number 1 ranking will still be there to protect. Hopefully so. Or at least compete in the series for a change and not lose by such a big margins. Are you talking about the return back to India ? If the players have already lost it in their minds then these types of threads will be of no help..
lets us not use the words 'wounded tigers' or 'cornered tigers' they are registered trademarks. Interesting to see what happens if Gambhir, Sehwag, and Zak come back fit. Interesting to see what happens if Gambhir' date=' Sehwag, and Zak come back fit. [/quote'] You can't expect miracles. All three are coming of injuries. IMHO, they will do zilch. I am going to avoid following this series from this point on. Like I mentioned in another thread,it is possible if following happens 1. Sehwag plays a blinder. 2. England agrees to exchange their Bowlers for our Batsman to do their job( put those runs against our batsman and India would be 2-0 up). Well the first one is probable and second is astoundingly embarassing but TRUE !!!! lets give it our best shot with our best possible team,if we lose then we know we have a major rebuilding project on our hands which was always inevitable but will be forced on us sooner than later. We'll look a Completely different side with two proper openers playing and 4 proper bowlers playing. Actually we have started doing well abroad ever since we have had a Proper opener that is Sehwag. Here we were two openers short.